Patty Jenkins made history this summer when she became the first woman to direct a superhero movie. But women have been making a splash in the independent film world for quite some time. Here are six films directed by women that are perfect to watch on a chilly fall day — all you need is a cup of tea and your roommate’s sister’s ex-boyfriend’s Netflix password. In this French film, a 50-something philosophy professor (Isabelle Huppert) is suddenly on her own when her husband leaves her for somebody else. The artfully crafted film shows director Mia Hansen-Løve’s strength in avoiding melodrama while keeping the audience engaged with beautiful scenery and fantastic acting. 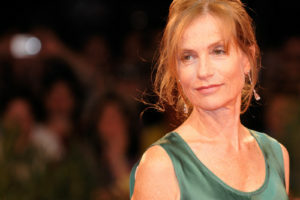 Not to mention the fact that Huppert is considered the best actor in the world. Julie Dash’s 1991 independent film was the first movie directed by a woman of color to be released widely in the United States. It takes place in 1902 and follows three generations of Gullah women, or descendants of enslaved Africans in Georgia and South Carolina’s coasts, as they try to start a new life in the North. “Daughters of the Dust” is unlike any movie that came before it, and was even selected as part of the Sundance Film Festival’s dramatic competition. No, this is not just a female version of Richard Linklater’s 2014 Oscar hopeful. “Girlhood” is a French film from director Céline Sciamma, who has made a name for herself with her aesthetically pleasing coming-of-age films about adolescent girls. This one follows Marieme, a girl who is just trying to find her way in her rough neighborhood outside of the Paris moviegoers know and love. This French-Turkish drama is one-of-a-kind, and not just because we don’t see Turkish movies every day. Directed by Deniz Gamze Ergüven, “Mustang” follows five wild sisters who want to break free from the confines of their tiny conservative village. It was nominated for the Oscar for best foreign film in 2016 and explores the way women are treated in small European cities. Most of us probably know Lena Dunham as the controversial possibly-fake feminist who is naked a lot on HBO, but before “Girls,” she actually made a critically-acclaimed movie about finding her way around post-graduate life. Watch it out of spite or watch it out of love, but Dunham and her cast of familiar characters (Jemima Kirke, Grace Dunham and Alex Karpovsky) will probably make you feel a little bit better about impending post-college doom.